1. First of all, you must download layer styles to give a beautiful look to arrow marks. 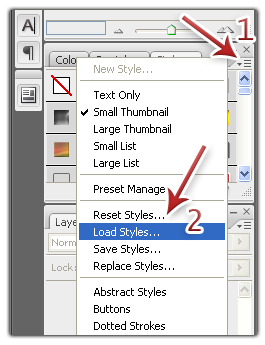 My friend Gagan posted some good layer styles, click here to download these layer styles. 3. 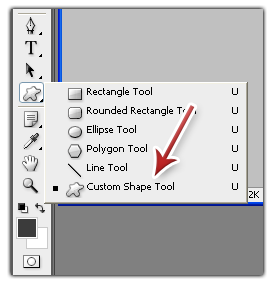 Now select Custom Shape Tool from Tools window at the left side. 4. 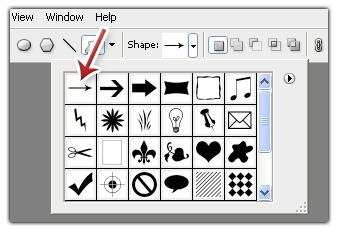 After selecting custom shape tool, select Arrow from Shapes from top menu. 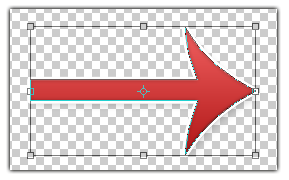 5.Now open any image on which you want to make arrow marks and simply draw an arrow of required size. To give it a beautiful design, simply select any layer style from layers on right side bar. 6. To rotate the arrow, first select Move Tool and after that click on Show Transform Controls. 7. Now you can easily rotate the arrow. Next Article Pinky84 New Blogger Template !! Wow , with this simple course i learnt lot of things … thax for adding this post for my request i now able to do this …. thx once again. yes, i have downloaded it nice one.. Thanks for the tip dude… You can also use GIMP to edit your images! VISHALâ€™s last blog post..Download Vodafone ZooZoo Ringtones! I just wondered those days how top bloggers are adding nice little arrows to their screenshots. Thanks for the tutorial.